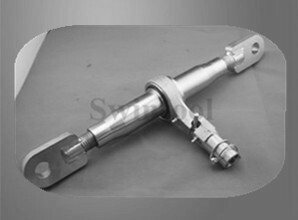 Swintool provide OEM ratchets with the complete forged fork and DIN 1478 turnbuckle with rolling gear welding assemblies. 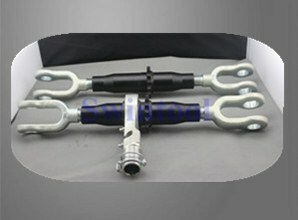 Our OEM ratchet turnbuckle is used in tracked pavers, wheeled pavers, screeds pavers etc. Special ratchet turnbuckle with high tensile material and special need for paver adjusting the location of plate, such as the material of DIN 1478 turnbuckle M30 is 42CrMoV alloy steel with heat treatment. Rolling gear is welded into special turnbuckle mechanism, ratchet turnbuckle is fitted with two forged fork link (jaw) in the front, in the back has turnbuckle with welding rolling gear, forged jaw fork M30 with LH RH. Roller chains link the two turnbuckle by rolling gear, ratchet turnbuckle can adjust the distance of paver plate by thread fork link turns. That designed for heavy duty needs.